Both were at those levels for most of the past week, the forecasting company says. But each will drop slightly on Tuesday and Wednesday: Tree pollen will be high Tuesday and medium Wednesday, while grass pollen will be medium on both days. But the forecast then calls for tree pollen to climb back to high on Thursday and grass pollen to leap to very high on Thursday. Mold spore activity also was listed as high for most of last week. 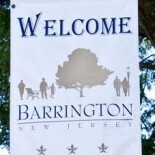 This entry was posted on May 7, 2012 by Barrington Bulletin in Uncategorized.